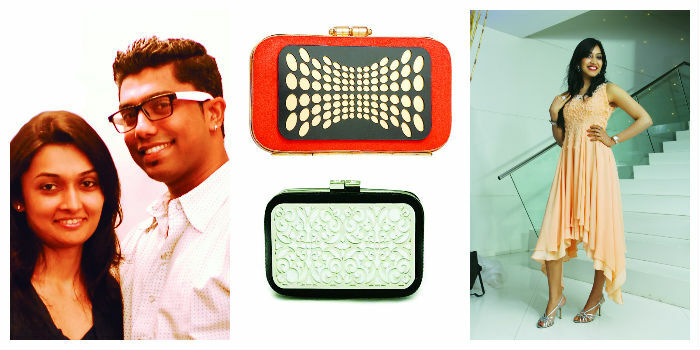 MaalGaadi, the new concept store in Besant Nagar retailing fashion, home dA�cor and lifestyle products from Niki Mahajan, Vivek Karunakaran, Nida Mahmood and Arjun Saluja, comes to the city in time for the party season. Launching today, the store is the brainchild of Sakina Ansari (known for bespoke tailoring) and her daughter Shahin Ansari, and has been curated by Vivek and Shreya Karunakaran (right). So what differentiates it from others? a�?Ita��s not your usual high fashion polished store. Ita��s quirky, edgy and has an industrial look to it,a�? answers Shahin Ansari, sharing that a�?the interiors (two floors, 1,400 sq ft) are of brick facade with hanging units made with GI Pipes.a�? Karu-nakarn, Ansaria��s friend, adds, a�?MaalGaadi intermingles fun with a sophisticated look. Plus, that side of the town has no one-stop shop like this.a�? pastels from Arjun Saluja, Niki Mahajana��s embroidery and sequined georgette and chiffon pieces which are quiteA�dressy, Malleka Studioa��s elaborate showstopperA� jewellery pieces andasymmetricA� cuts from Bangalore-based Chandrashekhar, among others,a�? Ansari, an alumnus of University of Southampton lists out, adding that Hyderabad-based D-cubeda��which offers quirky products a�� will have a shop-in-shop in the store. a�?The concept is about travelling and getting different products from India and catering to Chennai,a�? she explains.